The PeaceCapacity project closed in early 2018. This website is an archive of the project website as it closed at the end of May 2018 and information may now be out of date. Sonja Stojanović Gajić has been BCSP Director since 2006. She holds an MA in Politics, Security and Integration with distinction from the School of Slavonic and Eastern European Studies, University College London. She is currently a PhD candidate at the International Studies Department of the Faculty of Political Science, University of Belgrade. 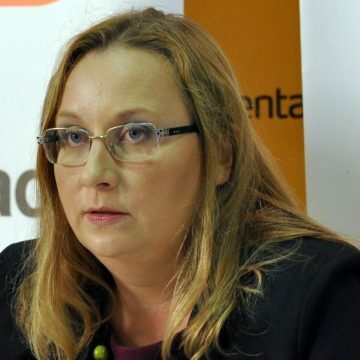 She is the author of the methodology for measuring security sector reform (SSR) in transitional societies from the perspective of civil society tested in Albania, Bosnia and Herzegovina, Croatia, Kosovo, Macedonia, Montenegro and Serbia published in the Almanac of Security Sector Oversight in the Western Balkans. She is one of the lead researchers in the research on practices of security community-building “The Western Balkans from Conflict Zone to Security Community” as well as in the comparative review of implementation of UNSCR 1325 – Women, Peace and Security in the Western Balkans. Publications include Security Community Building in the Western Balkans, (with Filip Ejdus), Ashgate 2014, Odanović, Gorana and Stojanović, Gajić Sonja (eds.) (2013): Women, peace and security in the Western Balkans, (edited with Gorana Odanović), Belgrade: BCSP, and Stojanović, Sonja and (eds.) (2010): Gender and Security Sector Reform in Serbia, (edited with Kathrin Quesada), Belgrade: BCSP. 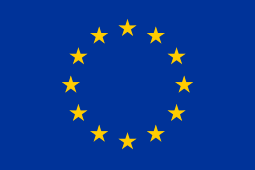 The EU-CIVCAP project has received funding from the European Union’s Horizon 2020 research and innovation programme under grant agreement no. : 653227. The content reflects only the authors’ views, and the European Commission is not responsible for any use that may be made of the information it contains. PeaceCapacity has received funding from the University of Bristol’s ESRC Impact Acceleration Account. The content reflects only the authors’ views; the University of Bristol and the Economic and Social Research Council are not responsible for any use that may be made of the information it contains.